Walking into the beautifully appointed tropical lobby of the CasaMagna Marriott Puerto Vallarta Resort & Spa made me feel so blessed to get to experience five days here as the homebase for a press trip connected to the IFWTWA (International Food Wine & Travel Writers Association) 2016 Conference. I hadn’t been to Puerto Vallarta for about 35 years so I knew things might have changed. I can tell you that I loved it then, and I love it now. I could still find the Plaza de Armas, the city’s main public plaza where concerts are held, but everything around it has changed. 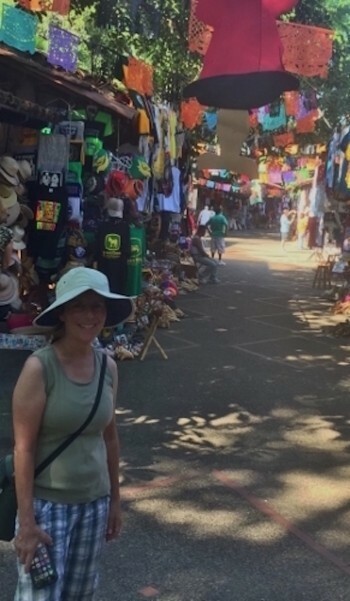 I’m hoping that the following information will give you a good idea of some of the wonderful sites and places to visit when you are in Puerto Vallarta. El Malecon (The Pier) Boardwalk in Old Vallarta is a great place to start your visit to Puerto Vallarta. You can travel very easily to the boardwalk from the CasaMagna Marriott by bus. The bus takes you directly there, and once there, you can meander along the boardwalk and take in all the amazing sculptures, many done by Sergio Bustamante, Alejandro Colunga, and Ramiz Barquet. You will want to take photos with these larger-than-life, fascinating sculptures. The large seahorse sculpture washed away during a storm but miraculously washed back ashore. It should have sunk because it’s metal; the locals believe this is a sign that the tourists will always return. Shops and clubs border the street on the east side of the boardwalk to add to the festive atmosphere. The Plaza de Armas, a gathering place for all ages, is just off the boardwalk. When you glance upward in this area, you can’t miss the spectacular Church of Our Lady of Guadalupe, showing off in all her glory the wrought iron crown hoisted by carved angels that was placed atop a tower in just 1965. From the south end of El Malecon, you can walk to Mercado Isle Cuale and Mercado Municipal Cuale along the banks of the Cuale River. The Isla Cuale (island in the center) has a number of souvenir vendor shops. We were lured onto the island to purchase a brightly colored tablecloth, large carryall bag, and an embroidered dress. 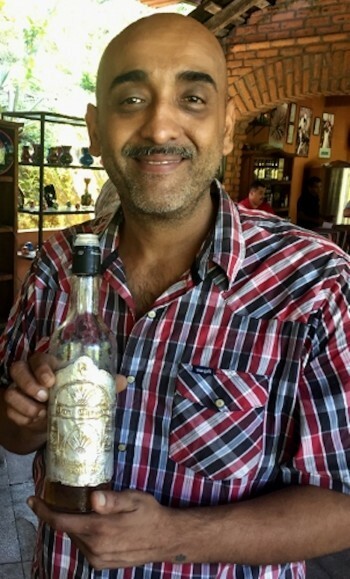 Save time for a free tequila tasting at the west end of the Isla Cuale. One of the highlights of our trip was a bus ride south of Puerto Vallarta to Rancho El Verano, a Raicilla ranch. Raicilla is a close cousin of tequila made from the agave plant. Tequila must be made from only blue agave, but Raicilla can be from either the green or blue agave plant. It takes 8-12 years for the agave plant to grow and flower before it is ready for harvest. The original name, Raicilla, was a name created in the 1600s to avoid paying taxes to Spain. 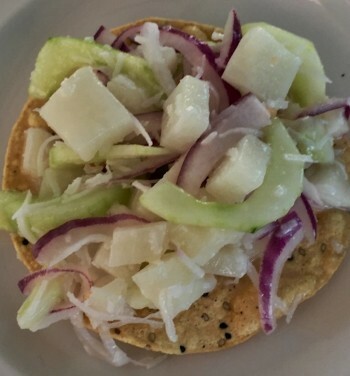 The process of making Raicilla involves chopping pineapple (the center) off the plant, and then further chopping it into chunks. Then the chunks are either put in a wood pit or clay ovens. After cooking, the chunks are ground and distilled in crude, primitive stills from a fermented mash. The mash is slow cooked, and the steam condensed on a copper cone is cooled, traditionally, by spring water. It takes 22 pounds of agave to make a liter of Raicilla. The bottle tells the region where it was made, the alcohol content, and the brand name. Not too far from Rancho El Verano is the Jardin Botanico de Vallarta, an 11-year old botanical garden in a jungle where it rains every night until November and then is dry for 6 months. This botanical garden sits on the Cabo Corrientes “Cape of Currents” mountainous peninsula and is covered with rivers, waterfalls, pine-oak forests, and even jaguars and macaws. One of the interesting exhibits is the Daneri Vireya Rhododendron House, home to the same rhododendron that grows in Hilo, Hawaii. In addition, we discovered the Vallarta Conservatory of Orchids and Native Plants, a conservatory full of 1,200 species of Mexican orchids and a wide variety of native Mexican plants, including bromeliads and magnolias. 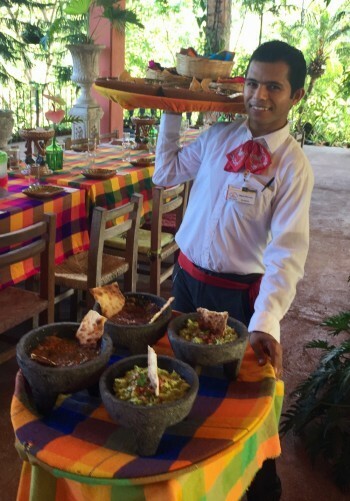 A highlight of our trip to the botanical gardens was the Hacienda de Oro Restaurante. We were greeted with refreshing hibiscus tea and a cool washcloth. The presentation at this open-air restaurant is spectacular—a myriad of colors and flavors await you at your table. Fresh fish filled the fish tacos, and the pizzas added an interesting twist to our traditional Mexican meal. While admiring the mountain and river views, I encourage you to look below on the open side of the restaurant where baskets of fresh fruit are dropped to draw birds to the area. As a visitor to the botanical gardens, you can spend an entire day enjoying the quiet and lushness of this tropical place. There are hiking trails, and you can swim in the river. I would recommend wearing long pants and a long-sleeved shirt with bug spray in hand, and you will have a day of adventure to long remember. Probably the most outstanding day for me was aboard the Grand Canuwa, a 62-foot, 120-passenger luxury catamaran. From the moment we boarded this new catamaran until the time we returned back to dock, we were treated to a very special day by Oscar Hildago, director of the catamaran, and a very happy and attentive crew. This luxury yacht comes with a bartender extraordinaire, able to prepare anything your mind can create, and your glass will never be empty. For me, seeing Puerto Vallarta from the water was a great opportunity. As a passenger aboard the Grand Canuwa, you can snorkel (with new equipment) at Los Arcos National Marine Park, a gigantic rock formation where we snorkeled through the center and around it back to the boat. Most trips on this catamaran go to Mike’s Beach Club, a private beach where passengers can kayak, paddle board, zipline, or simply relax in hammocks for a few hours. Chefs were on board to delight us with as-fresh-as-you-can-get shrimp aquachile (meaning water chile that is the spicy cousin of ceviche) as well as other delicious ceviches. We were lucky enough to have Chef Diego from Tuna Azul, Chef Mauricio Verden of Mauricios, Chef Josue Arana of Lamara, as well as Conner Watts, Master Brewer from Los Muertos Brewing. 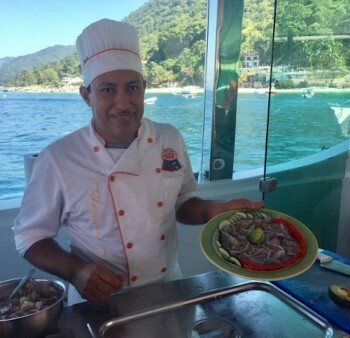 All of these chefs participate in the Ceviche and Aquachile Festival in Puerto Vallarta, and we were able to sample their delicious creations. Our trip back to Puerto Vallarta concluded with games and dancing aboard this pleasurable yacht. Guests of all ages danced, played and made the most of a spectacular day. 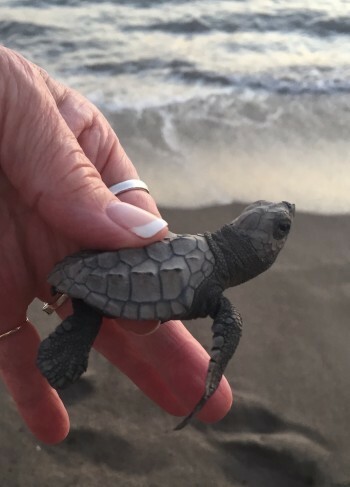 The Sea Turtle Release Program, running from June to December, held at the CasaMagna since 2002, provided a special experience for us one night while we were there. The nursery can hold up to 400 nests to protect the eggs, and guests were able to hold a newborn and release it at sunset. Whether you are a child or an adult, this is a wonderful opportunity to make a meaningful connection with nature. Start looking at flights and get your bags packed. What a great place full of activities to enjoy the warm weather of Puerto Vallarta. Escape the cold and wet weather we have been experiencing in many parts of the country. 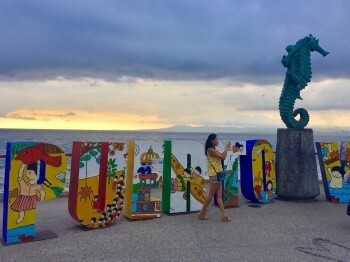 Look for my second article on Puerto Vallarta to learn about some wonderful places to eat and stay, and some upcoming special events you will want to attend.